perform and urge to create out of the box digital products for our clients. Zapbuild offers service in social networking, eCommerce, real estate, e-learning and learning management system, daily deals and group buying applications, SAAS, CRM, ERP, Smartphone applications, desktop applications, migration, search engine creation. We have expertise across business domains and a long list of satisfied customers. We have significant depth of expertise and experience in delivering Web, Desktop and Smartphone based technology solutions to our clients across industry. Our structured, project execution methodologies further enhance our ability to consistently deliver best of breed solutions. Sumeet Soni, the founding Director and Chief Executive Officer with more than 12 years of entrepreneurial experience, has been the driving force behind the exponential growth of Zapbuild Technologies Pvt. Ltd.
A very enthusiastic, a goal oriented and a man of highly futuristic vision, Sumeet believes in quality rather than quantity. 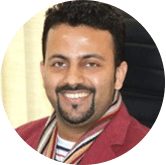 Sumeet manages the organization's day-to-day global operations and has been responsible for setting the highest quality standards and customer satisfaction as the benchmark for the organization. 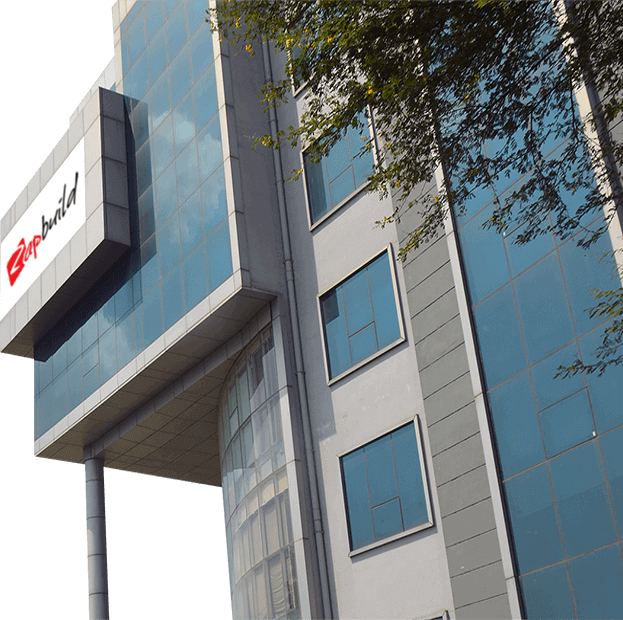 It is under his supervision and positive outlook that Zapbuild has turned out as one of the best IT companies to be associated with and work in, around Tricity. Responsible for the three dimensional growth of the organization, he holds the key position taking care of strategy planning for resource acquisitions, branding, marketing and corporate development. Understanding different people's needs and promoting a family like environment in the organization is his motto. Being the Director and Chief Executive Officer, Sumeet not only handles the Operations but is often seen involved in various departments, motivating and mentoring the teams and personally coordinating with clients. His vision is to take Zapbuild to not only be one of the top conglomerates in Tricity, but in India. An avid speaker and motivator, Sumeet is actively involved in community and social causes and has been associated with several non-profit organizations. Sumeet holds a Masters Degree in Information Technology from Panjab University, Chandigarh. He is married to Manisha, who herself majors in IT, graduating from BITS, Pilani. Manisha Soni is the Director and Chief Business Analyst of Zapbuild Technologies Pvt. Ltd.
Head of the Business Development, Analysis and Marketing Strategy, Manisha is responsible for researching and devising the new channels, markets and revenue models for the business development and acquisition for the Organization. She is also responsible for the retention and persistence of the business generated. Focused on our value pillar of Client Centricity, she entails gathering first hand insights from customers, doing 360 degree diagnostics, aligning the business development team to potential solutions and setting up mechanisms to monitor execution and progress. Her role extends beyond the client acquisition to the analysis of the business flow and work closely with the customers to devise profitable solutions and help assist the customers in succeeding in their ventures and assuring the successful delivery of the proposed solution. Manisha Co-founded Zapbuild Technologies Pvt. Ltd. and holds master degree in Computer Sciences from BITS, Pilani. 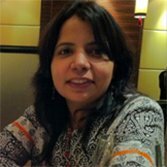 Prior to Zapbuild, she had worked with Wipro Technologies for 5 years as a Senior Mainframes consultant, having great exposure in security and financial domain. Manisha volunteers a lot of philanthropy work as she is always keen on that. Manisha is an active member of a leading NGO in the country. Manisha is married to Sumeet Soni and they are blessed with a daughter, Ruhani. Manisha loves to play with her little daughter and read blogs on health/fitness/fashion. She loves to sing in her leisure time. 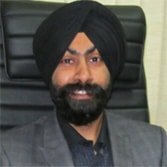 Amandeep Singh Brar, the Director and Chief Business Analyst of Zapbuild Technologies Pvt. Ltd., is the Co-founder of the Company and has seen it through its formative years. Aman's extensive 12 years of professional experience in varied technological stacks and detailed insights have really fuelled the expansion of the organization's business strategy and technical advancement. He is responsible for playing a strategic role in helping the company expand its distribution footprint across the globe and his guidance has really played an important role in key business acquisitions and opening the new markets ranging from enterprise mobility to Internet of Things. A Techie at heart, Aman has the unique exposure of working across functions both front end and back end and brings in valuable experience of working within start-up environments, having managed a clientele from 100+ countries, he has an extensive experience in managing large scale projects in highly secured environments. Quite innovative in approach, he leads the team from front. Besides being involved in the business development, Aman actively participates in bringing the innovation in the IT infrastructure to help assist the customers in improving the business processes by performance optimization and cutting costs, leveraging his experience in new-generation transformation models. Aman holds a Masters Degree in Information Technology from Panjab University, Chandigarh and is married to Kirandeep Kaur, who herself is an IT engineer commanding over 11 years of experience in one of the biggest IT companies of the country. 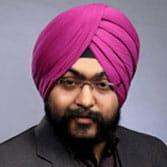 Amritpal Singh, working as CTO for Zapbuild Technologies Pvt. Ltd., is a Post Graduate in Information Technology from Panjab University, Chandigarh. Having around 12+ years of core Technology and Managerial experience in varied technologies ranging from Microsoft to Open Source, handles the project execution, ensures quality and successful delivery. Having worked onsite over the years, for several clients in United States, he has an extensive experience in managing teams of people ranging from 70 to 100, divided over varied geographical locations. Strong experience in developing and managing the development teams for large scale ERP, CRM and CMS solutions for various verticals like Education, Real Estate, Healthcare and Finance and has successfully executed the offshore model for various clients performing the roles of Project Coordinator, Technical Lead and System Architect at various stages before joining hands with Zapbuild as CTO. In his leisure time, he can be found writing about Design Patterns, dabbling with Artificial Intelligence and Augmented Reality. Married to Harkeen Kaur, they are blessed with a son, Harshvir Singh, whom he likes to spend his most of the personal time with. Senior IT professional with 12+ years of IT industry experience and over 8 years of experience in IBM FileNet Enterprise system. Certified IBM Enterprise Content Management (ECM), Business Process Manager (BPM) professional. Extensive experience delivering large size ECM and BPM implementations across various industry sectors, such as Banking and Financials, Government, Insurance and telecommunications. Excellent communication skills and ability to influence stakeholders from developers to corporate VPs. Comprehensive understanding of the technology trends, global markets and enterprise segments. Experience of working with both client and vendor organizations, resulting in enriched vision for the projects and skilful ability to understand and manage client and vendor expectations to drive projects towards success. Specific experience and understanding of South East Asia, culture and working in the Asia region - what it takes to get the job done. Strength in evaluating, recommending, and championing the design and delivery of technology and process improvement strategies to enhance business productivity, increase profitability and achieve operational excellence. 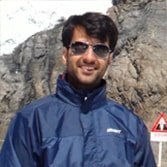 Lalit Mohan holds a masters degree in computer applications from Guru Jambheshwar University and leading our IT business for Singapore and south-east countries. Jagdeep Singh is our Canada international business partner with more than 10 years of experience. Highly accomplished professional with a successful track-record directing the design and delivery of advanced technology solutions for a mid size organization in a high-growth domain. Strength in directing efforts and managing teams across organizational levels to support strategic objectives across complex environments. An effective communicator with excellent interpersonal/ relationship management skills. 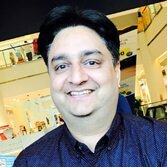 Jagdeep holds a masters degree in computer applications from Panjab University Capus Chandigarh and currently handle multiple international business from China.